With a link-related bug plaguing some users since the launch of iOS 9.3, Apple has acknowledged that it is aware of the issue, and indicated that a fix will be released in the form of a software update. "We are aware of this issue, and we will release a fix in a software update soon," Apple said in a statement to TechCrunch. 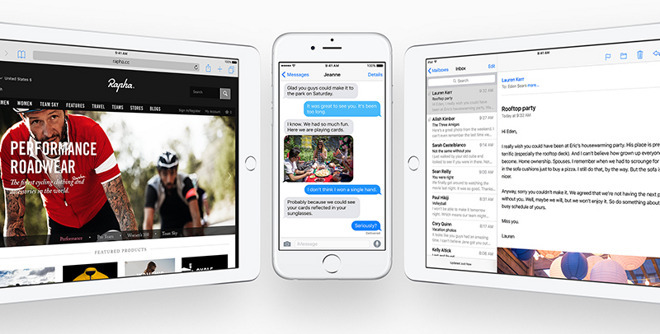 The statement indicates that a likely iOS 9.3.1 update could arrive in the coming days. The bug is related to an iOS 9 feature called Universal Links, which allow third-party app developers to have certain domain names open links directly into their app. This means links tapped in apps like Safari, Mail, Messages and more will bypass Safari and open the content directly in an iOS app. The issue appears to be app agnostic, as a both first- and third-party software exhibits crash symptoms, suggesting the issue lies in iOS itself. Update: AppleInsider reader Rosyna reached out to clarify that the bug apparently affects earlier versions of iOS 9 as well, dating back as far as iOS 9.0.2. The largest culprit appears to be the official Booking.com iOS app, which has since been updated to prevent the associated crashes. Still, users who had already installed Booking.com continue to see problems, and await Apple's fix. Though a total of seven betas were released for iOS 9.3, last week's software launch has seen a number of problems, including an issue that prohibited older iPhones and iPads from completing the activation process, rendering those devices unusable. Apple was prompted to temporarily pull the update, and released an updated version of iOS 9.3 on Monday to address the other bug.